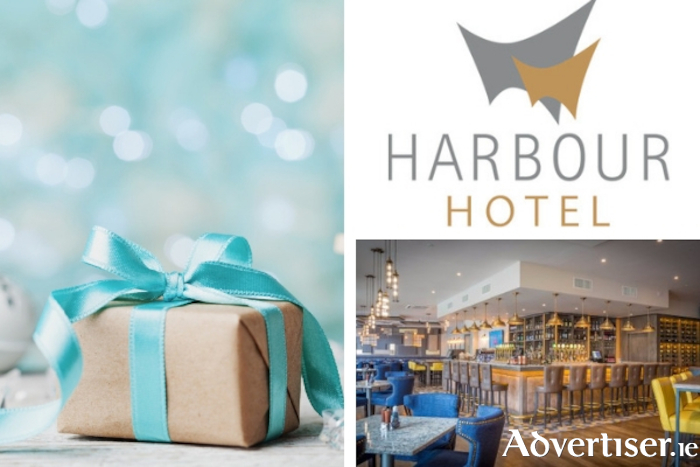 Advertiser.ie - GET AHEAD OF THE CROWD AND BUY YOUR LOVED ONES A HARBOUR HOTEL VOUCHER THIS CHRISTMAS! With so many voucher options available, from a relaxing night's stay to a Dillisk Dining Voucher or a delicious Afternoon Tea, there is sure to be something for everyone! Cash Voucher – any monetary value! This Cash Voucher can be redeemed for accommodation, dining or other services, or may instead be used online on our website reservations page to be redeemed directly against the cost of a booking. Afternoon Tea for Two - €34.00! Afternoon Tea for 2 people. Relax and enjoy Afternoon Tea. A three-tiered platter of exquisitely prepared sandwiches, scones, cakes and delicacies served alongside a range of loose leaf teas & speciality coffee. Dinner for Two in Dillisk on the Docks –€60.00! Treat a loved one to Dinner for Two in Dillisk on the Docks with its stylishly rustic decor, comfortable furnishings, muted lighting, and offering mouth-watering tastes from local suppliers and artisan ingredients. Three Course Menu for Two People in Dillisk on the Docks. Overnight B&B in the Harbour Hotel – Midweek - €139 - One night midweek stay in the heart of Galway City, included breakfast the following morning. Two Nights Bed & Breakfast, Dinner on One Night – Weekend - €398.00 - Two night weekend stay in the heart of Galway City, include two nights bed & breakfast with dinner on one evening. All eVouchers can be emailed directly to you or your loved one or pop into us at the Harbour Hotel.